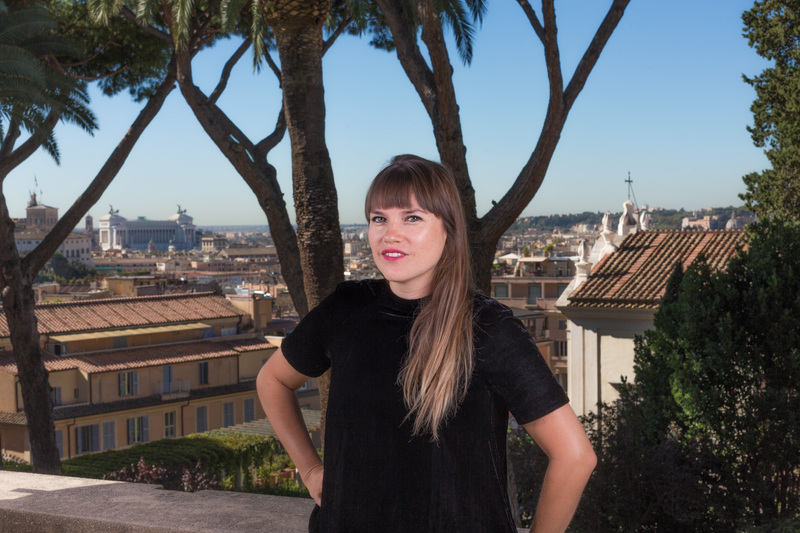 The Villa Maraini, home of the Istituto Svizzero in Rome, hosts a dozen young Swiss residents each year, comprising six researchers and six artists. The residents of the Roma Calling programme are provided with rooms and places to work. The midday meal is eaten together in order to help foster a particular atmosphere of emulation and synergy between science and art involving all of the occupants. 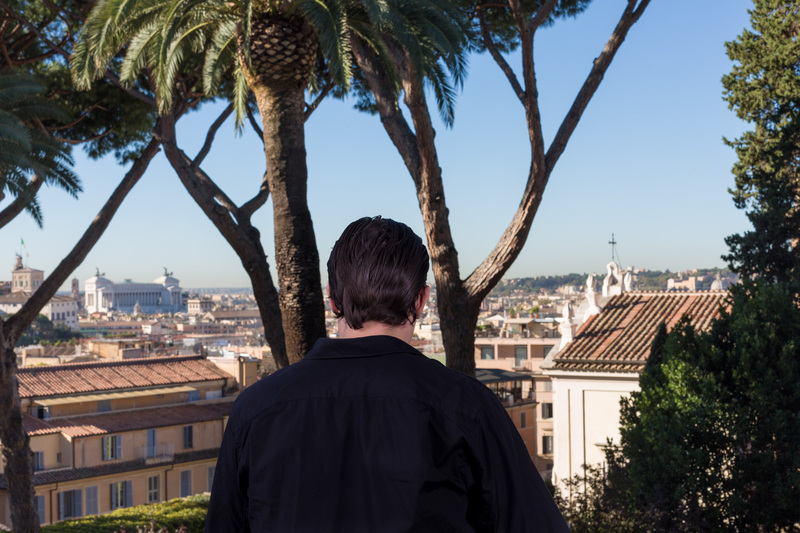 The Istituto Svizzero issues a new call each year for twelve ten-month residencies running from September to July. 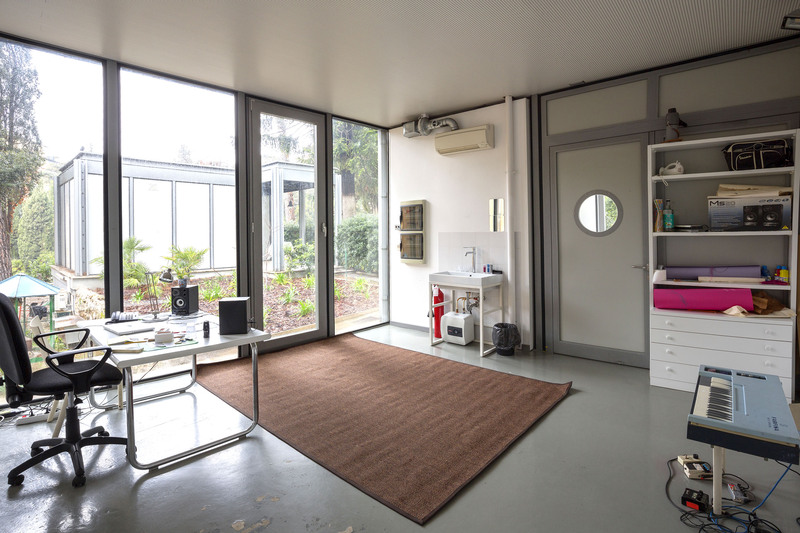 The Roma Calling residencies are for artists (visual arts, design, architecture, literature, dance, theatre and music) and researchers (social, human and natural sciences). In addition to their personal research projects, residents are required to take part in the Institute’s transdisciplinary project. The programme, of about twenty days distributed throughout the year, is defined by the management in relation to the residents selected and their interests. It consists of events, study trips, workshops which include the participation and contribution of established researchers and artists. This multidisciplinary programme makes it possible to develop ongoing research and networks, and to foster new and active exchange between scientific and artistic disciplines. The call is addressed to Swiss citizens and residents as well as figures who have established solid relations with the Swiss scientific and cultural scene. 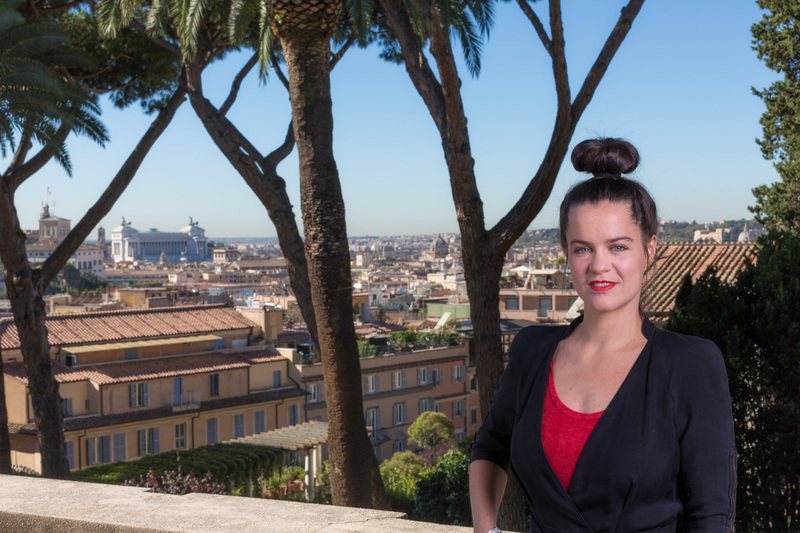 Candidates are required to present a personal research project that would necessitate or benefit from a stay in Rome and fit into a project of interdisciplinary collaboration between art and science. Applications must be submitted to the Istituto Svizzero by 20 February 2019. The candidates selected by the artistic and scientific committees will be called for an interview with the jury on 18 or 19 March 2019. De Franco, Oscar alias De La Fuente Oscar De Franco (Visual artist) Oscar De Franco (1986, Zurich) took a Master in Fine Arts degree at the Zürcher Hochschule der Künste in 2013, and as a visiting student he attended the course of Thomas Zipp at Universität der Künste Berlin. He has presented work in solo and group shows at Binz 39 (Zurich), Helmhaus (Zurich), Wasserkirche (Zurich), Kunstmuseum Bern (Bern), Galerie Gregor Staiger (Zurich), Kunsthalle St. Gallen (St. Gallen), Haus Konstruktiv (Zurich), Cabaret Voltaire (Zurich), Kunsthalle Bern (Bern) and other locations. He has received many prizes and study grants, including Atelierstipendium Binz 39 (2014-16) and Credit Suisse Förderpreis Video Kunstunstmuseum Bern (2012). He has also been a resident at Stavanger (Norway). Meier, Rahel (History) Rahel Meier (1985, Zurich) is a medievalist. She studied History of Art, History and Archaeology of the Middle Ages at the University of Zurich, Paris and Basel. She was awarded the Förderpreis für Kunstwissenschaft by the Alfred Richterich Foundation for an extract of her thesis. 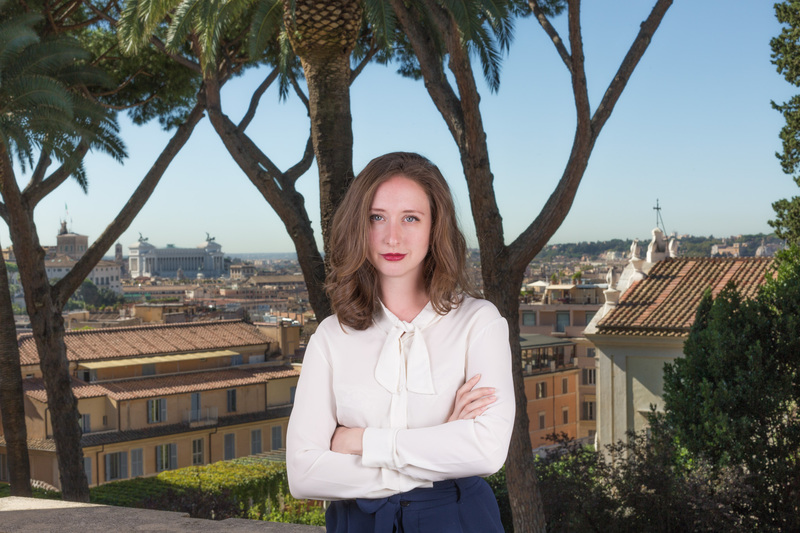 At Istituto Svizzero in Rome, she is completing her dissertation on the creation and dissemination of the legend of the Holy Land, which is funded by the Swiss National Science Foundation (with contribution by Doc.CH). She was a guest of the KHI-MPI in Florence. Meier, Robin (Musician, visual artist, performer, videomaker) Robin Meier (1980, Zug) took a degree in cognitive philosophy at the École des Hautes Études en Sciences Sociales in Paris in 2007, and studied at the Center for New Music & Audio Technologies, University of California and the Conservatoire National de Region de Nice, where he graduated in 2005. His works have been featured in group and solo shows in various institutions and biennials, including the 11th Shanghai Biennale (Shanghai), Palais de Tokyo (Paris), Gare de l’Est (Nuit Blanche – Paris), Volkshaus (Art Basel, Basel), Musée d’Art Moderne de la Ville de Paris (Paris), Arsenal Gallery (New York). He was assigned the Kantonaler Kulturförderpreis of the Canton of Zug in 2016, and was nominated for the Prix Fondation Richard, Paris, in 2015. Mure-Ravaud, Lora (Writer and filmmaker) Lora Mure-Ravaud (1993, Bordeaux) has a degree in philosophy and literature (Lyon, 2012). In 2017 she completed the Bachelor programme at the school of cinema of the École cantonale d’art de Lausanne. She has made several short films: Soleil cou coupé (2017, broadcast by RTS), Valet noir (2017, produced for Alva Film), Côté cour (2016, presented at the Locarno Festival), Joconde (2015, presented at Locarno Festival and acquired by ARTE). For Valet noir she won the Prix de la relève at Solothurner Filmtage (2018) and the prize for best short film of the Festival of Winterthur (2017). Petracca, Enrico (Economic sciences) Enrico Petracca (1983, Lausanne) studied economics at Bocconi University in Milan and the University of Bologna, where he also completed a doctorate in history and philosophy of science in 2014. During the academic year 2017-18 he has conducted post-doctoral research at the Institut de Recherches Économiques (IRENE) of the University of Neuchâtel. His interests include the history and methodology of economic theories. 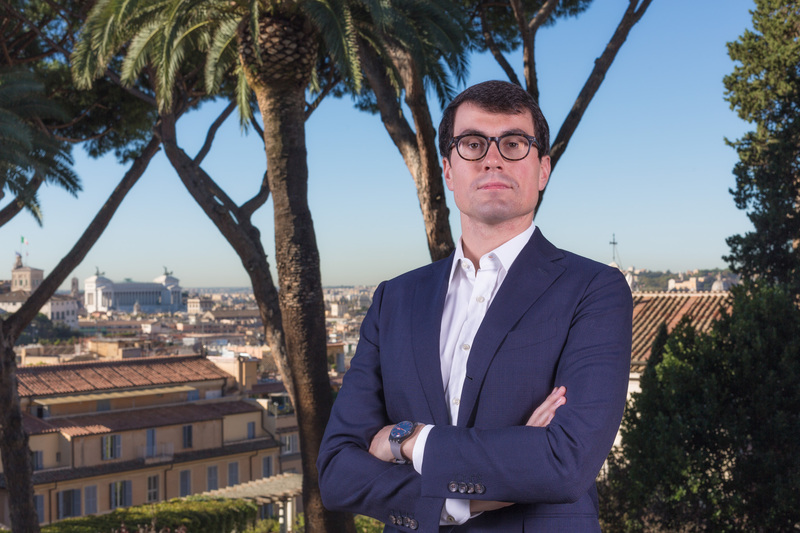 The research he intends to conduct in Rome has to do with the history of “idiosyncratic” economic thought, thus defined because it cannot be analysed through traditional historical categories. In this sense, his research attempts to introduce new categories, related to the study of certain personalities and singular theories in the history of economic thought. Pönitz-Hunziker, Christine (Archaeologist) Christine Pönitz-Hunziker (1983, Bern) studied history and archaeology of the Mediterranean at the University of Bern. In 2014 she completed a Master in archaeology of the Mediterranean and ancient history at the University of Bern. Since 2015 she has worked on her doctoral thesis on the ceramics of the necropoli of Via dei Greci and the Cimitero Sud of Crotone, as a mirror of the socio-cultural and economic development of the Italian city in the 3rd and 4th centuries BC. 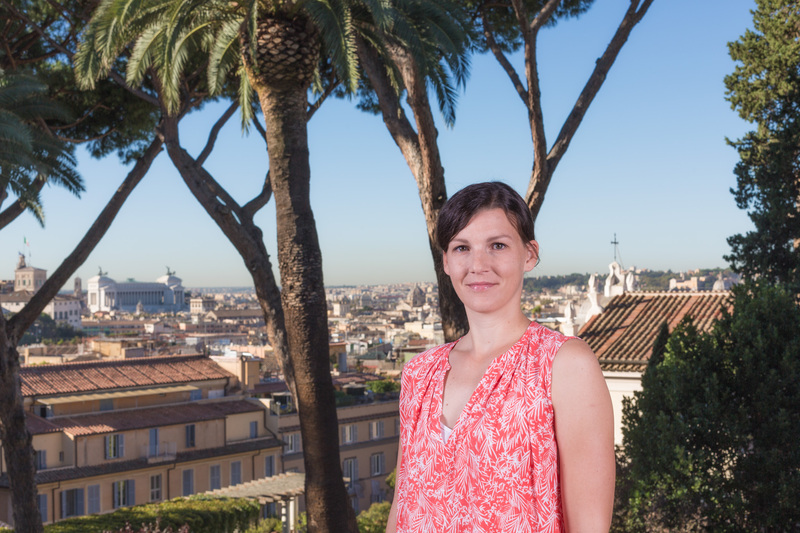 In Rome she will conduct research for the doctoral thesis supported by the Swiss National Science Foundation, with the scientific collaboration of Timothy Pönitz, also a Swiss Institute fellow, whose project focuses on archaeological study of the ancient city of Crotone in Calabria. Pönitz Timothy (Archaeologist) Timothy Pönitz (1989, Geneva) studied classical archaeology and Egyptology at the University of Geneva. In 2014 he completed a Master in classical archaeology at the University of Geneva. 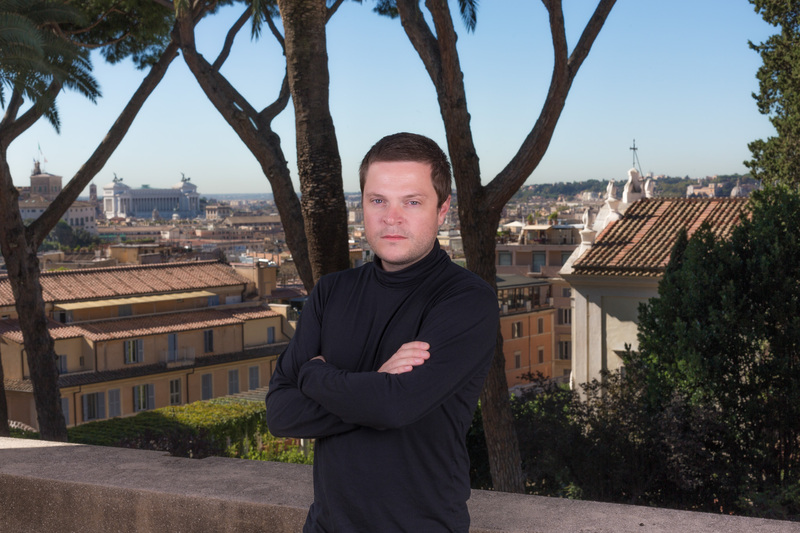 Since 2016 he has worked on his doctoral thesis on the necropoli of Via dei Greci and the funerary context of Crotone. 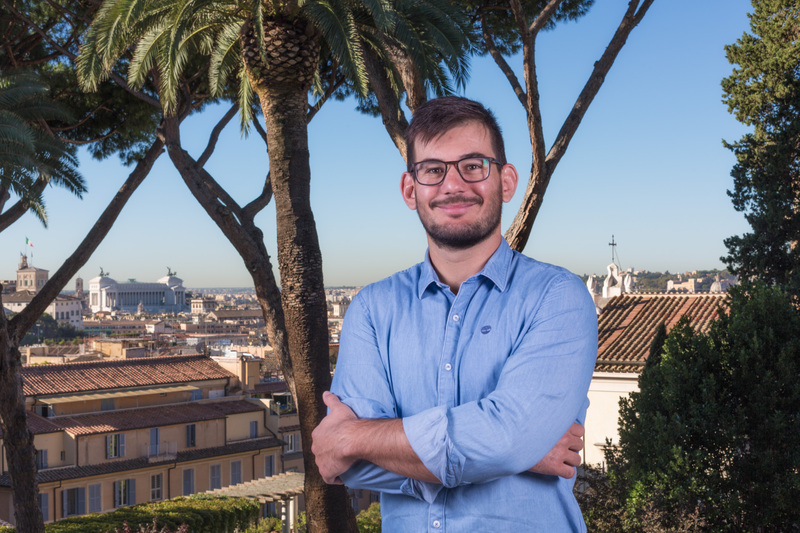 In Rome he will conduct in-depth research in scientific collaboration with Christine Pönitz-Hunziker, also a Swiss Institute fellow, whose project also focuses on archaeological study of ancient Crotone in Calabria. Spina, Davide (Architect) Davide Spina (1983, Rome/Zurich) is of Italian origin and presently lives in Zurich, where he is completing a doctorate at ETH Zurich, Institute for the Theory and History of Architecture (gta). 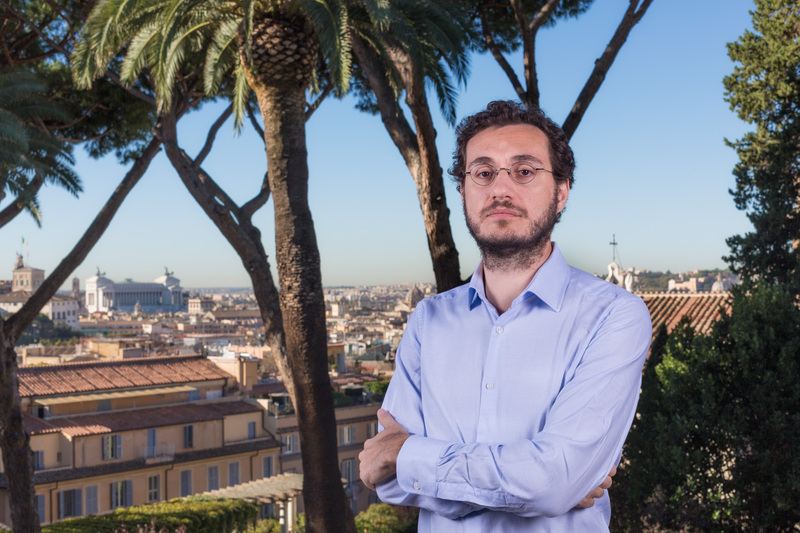 His research project consists of a monographic thesis on the Roman real estate contractor Società Generale Immobiliare (SGI). 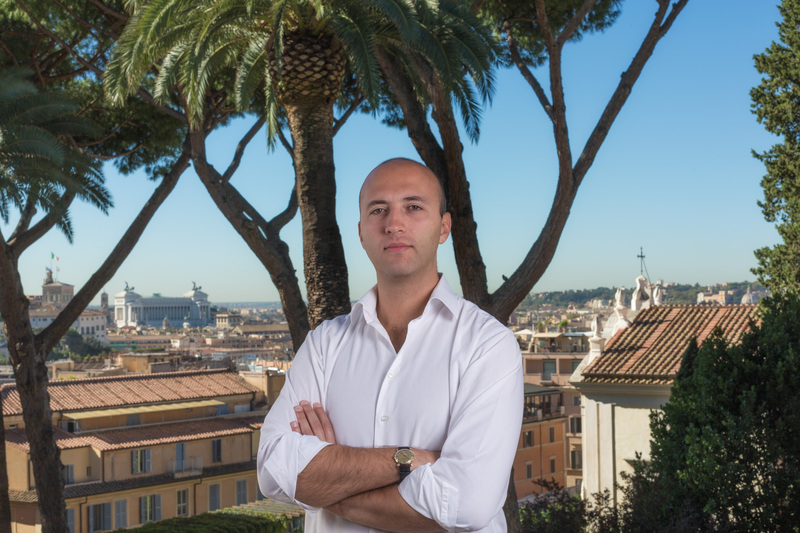 Davide has a degree in architectural sciences from Università Roma Tre, and a Master in architectural history from Bartlett School of Architecture, University College London (UCL). 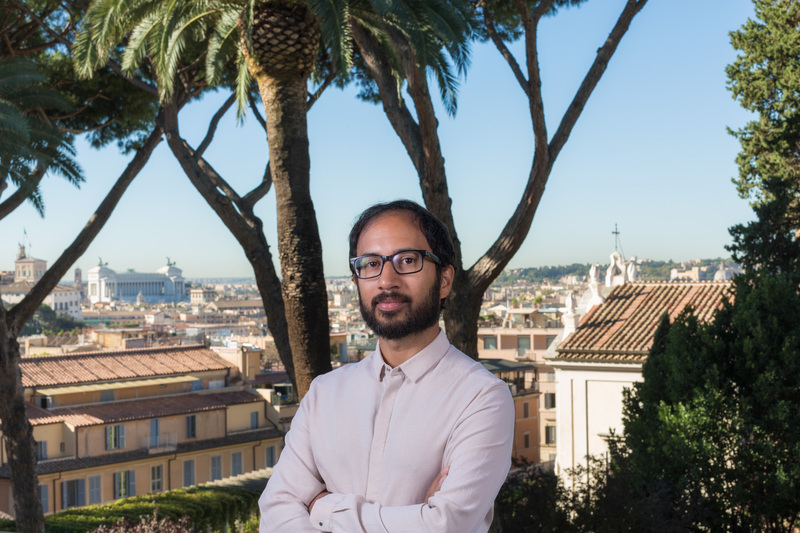 He has received study grants at Yale University and Canadian Centre for Architecture (Montreal), and has been a Visiting PhD Scholar at Columbia University, as well as teaching at ETH. Some of his essays have been published in AA Files, the magazine of the Architectural Association of London. Wagner, Laurence (Programming, writing, performing arts research) Laurence Wagner (1984, Lausanne) attained a Master of Arts at the Haute Ecole d’Art et de Design de Genève in 2011, after completing a Bachelor of Arts at the University of Lausanne in 2008. Since 2014 she has worked at TU-Théâtre de l’Usine in Geneva as director of programming, communication and press relations, and co-director of cultural mediation. She was a member of Corodis – Commissione Romande de Diffusion des Spectacles in 2016-17, and she has worked on various projects as a cultural mediator. She works for Zürcher Theater Spektakel in Zurich, teaches at Manufacture Haute école des arts de la scène in Lausanne, and develops various projects in the performing arts as an independent curator. Wertenbroek, Manon (Visual artist) Manon Wertenbroek (1991, Lausanne) is of Swiss-Dutch origin; she took a Bachelor of Arts in photography in 2014 at the École cantonale d’art de Lausanne. Since then, Wertenbroek has shown works in galleries in Holland, Belgium, Italy and France, and also at Art Basel, the Foam Museum in Amsterdam, and the Swiss Institute in Rome. Her work has been featured in the publications Guardian, Mousse, British Journal of Photography, Foam Magazine, i-D, LensCulture and many others. In January 2017 she had her first solo show at Coalmine, Wintherthur. That same year she was assigned the Swiss Art Award by the Federal Office of Culture. Wooldridge, Ian (Visual artist) Of English origin, Ian Wooldridge (1982, Zurich) now resides in Zurich and is a PhD candidate in media sciences at the University of Basel. After taking a Bachelor in Fine Arts at Central St. Martins, University of London in 2004, he completed a Master degree in 2011 in history of cinema and visual media at Birkbeck College, University of London. From 2013 he has taught at the Zürcher Hochschule der Künste, in the Department of Art and Media. He has taken part in group and solo shows at the Cruising Pavilion (Venice Architecture Biennale 2018), LUX (London), Folkwang (Essen), Plymouth Rock (Zurich), Haus Konstruktiv, (Zurich), The Swiss Art Awards 2017 (Basel), Mikro (Zurich), Taylor Macklin (Zurich), Le Manoir (Martigny), Coalmine (Winterthur). Zuber, Célia (Art historian) Célia Zuber (1990, Geneva) took a Bachelor degree in 2013 in art history and modern French literature at the University of Geneva, and a Master in art and languages at the École des Hautes Études en Sciences Sociales of Paris in 2015. In 2013 she received the prize for young researchers of the Association Suisse des Historiens et Historiennes de l’Art (ASHHA/VKKS). In 2016-17 she taught at the University of Geneva and the VIA FERRATA of the Ecole des Beaux-Arts de Paris. 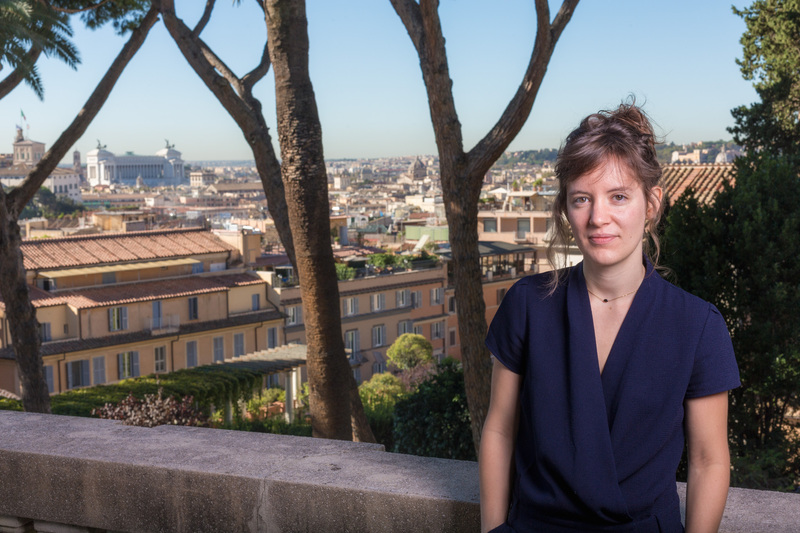 In Rome she will conduct research for her doctoral thesis, funded by the Swiss National Science Foundation, on the theory and theology of the image in the religious work of the painter from Bologna Annibale Carracci. 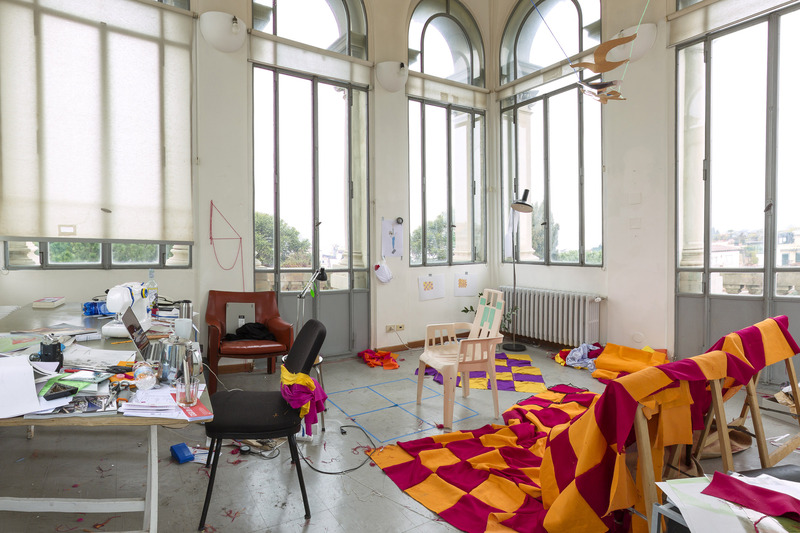 The Istituto Svizzero offers two six-month residencies in Milan during 2019 addressed exclusively to designers and scientists in the fields of architecture and digital humanities, and selected on the same transdisciplinary approach as in Rome. Young researchers and designers interested in developing a project that requires a residency in the capital of Lombardy are required to submit their applications by 20 February 2019. Applications must be submitted to Istituto Svizzero by 20 February 2019. Fueglister, Ronnie (Graphic Designer) Ronnie Fueglister (1980, Basel) is a graphic designer who studied at the Schule für Gestaltung Basel and the Zürcher Hochschule der Künste in Zurich. His works include the design of the website of Kunsthalle Basel and books made for the artists Miriam Cahn, Bruce Nauman, Amy Sillman, Hannah Weinberger, Mike Bouchet and Paul McCarthy. He presently teaches experimental typography at Schule für Gestaltung Basel and publishing design at Porto Design Summer School. 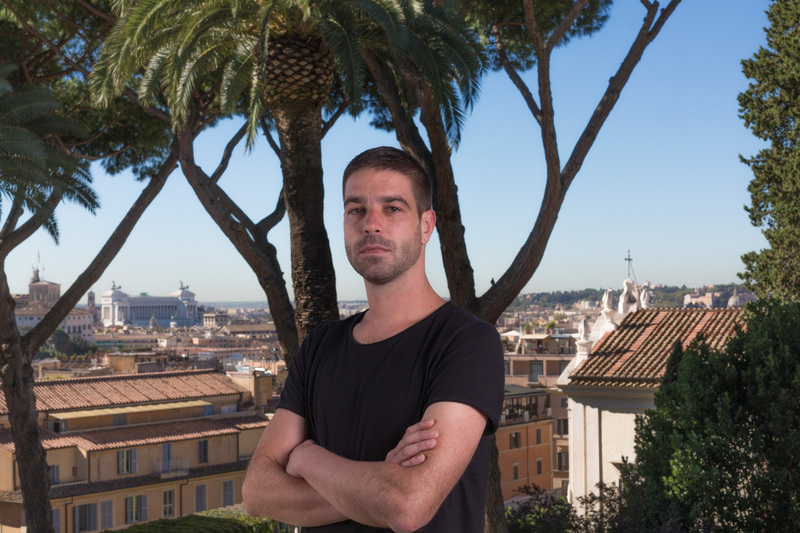 In Milan he plans to work on the project “Type in the Public Sphere,” focusing on the “typographical character” of public space in Milan. Jacomella, Marco (Architect) Marco Jacomella (1984, Chiavenna IT) is an architect and urban designer based in Zurich. He took a degree in architecture at Università degli Studi in Ferrara (IT), and in 2016 he took a Master in Advanced Studies in Housing at ETH Zurich. After work experiences in international studios in Denmark, Spain and Switzerland, he became a project manager at Hosoya Schaefer Architects in Zurich, specializing in projects on an urban scale and residential buildings. In 2018 he founded ITER, a studio for research on the home and territory. He is presently a doctoral candidate in Urban Planning, Design and Policies at Politecnico di Milano (IT), with a research project focusing on residential cooperatives in Zurich and their possible influence in the Italian context. 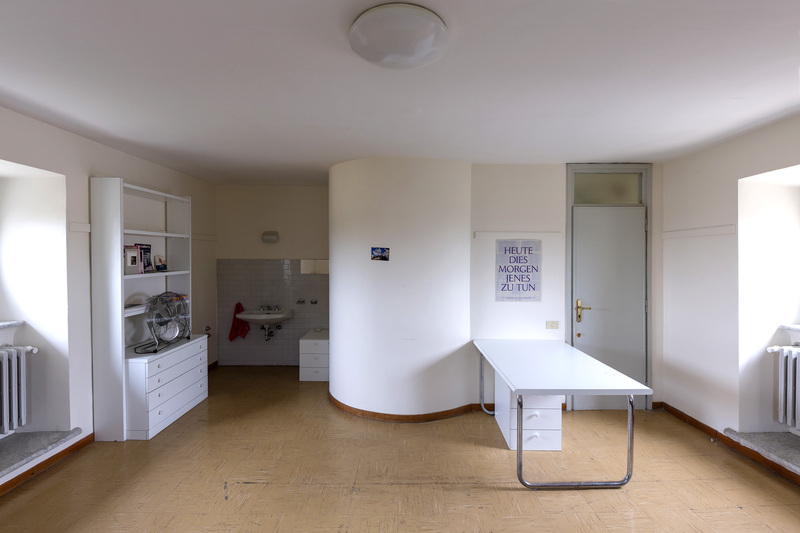 His work during the residency will be on the experience of cooperatives in Milan, with a particular accent on possible exchanges with the Swiss tradition of cooperative housing. 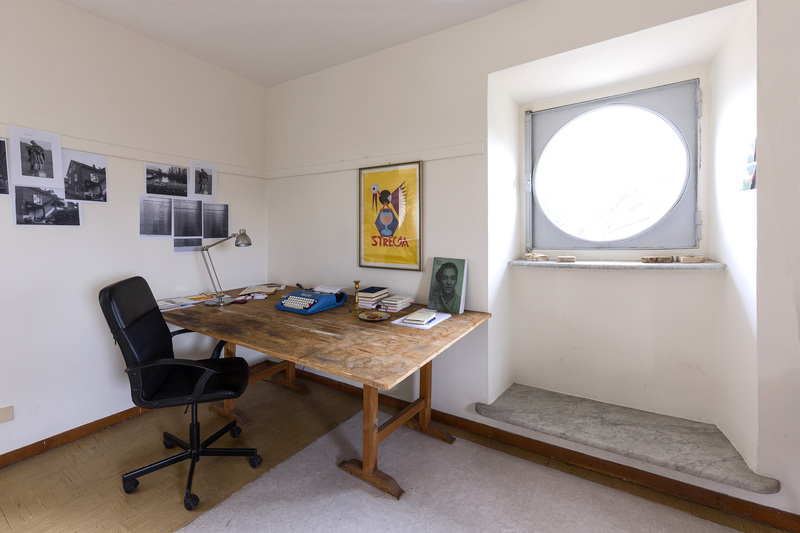 The Istituto Svizzero offers two new three-month residencies in Palermo at Palazzo Butera during 2019 (from September to November) addressed to one artist and one researcher (studies on the Mediterranean, history, history of art, archeology and research in connection with migration). 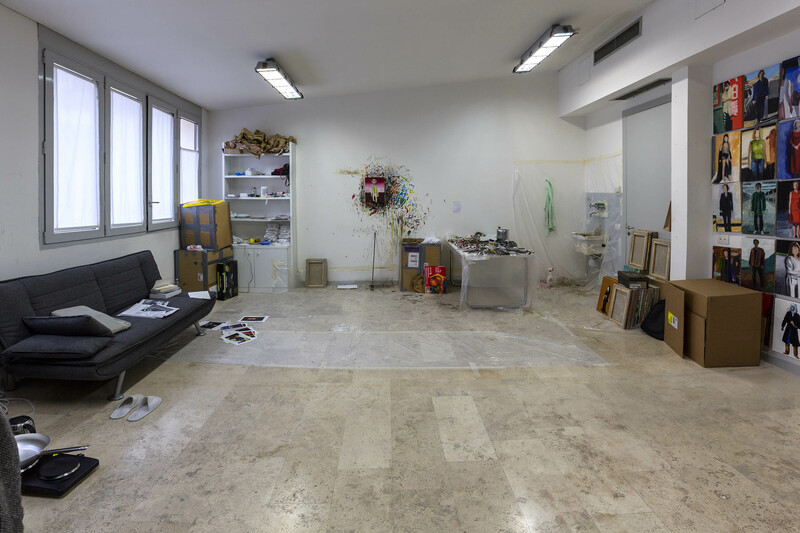 Young artists and researchers interested in developing a project that requires a residency in Palermo must submit their applications by 20 February 2019. The Istituto Svizzero hosts researchers from universities and institutes of higher education at Villa Maraini in the period July−August. 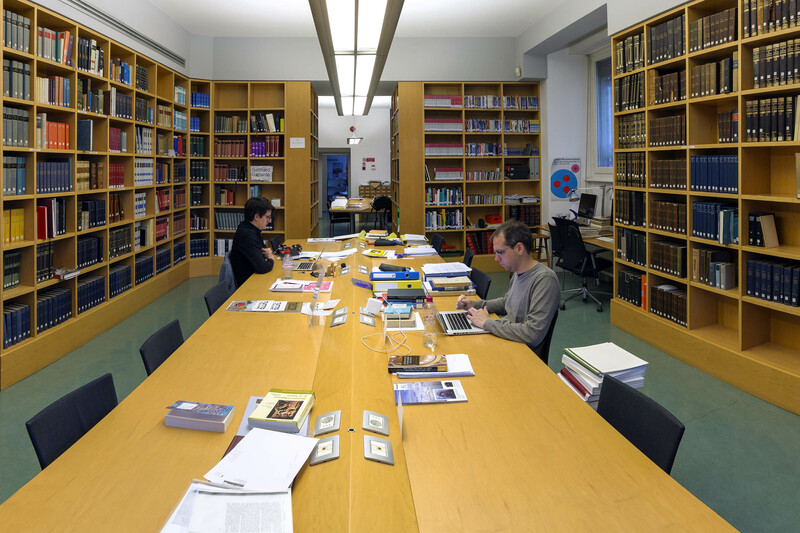 The universities and institutes of higher education concerned are required to submit a multidisciplinary project often linked to Rome and its cultural heritage. This programme is born out of collaboration between the Istituto Svizzero, the swissuniversities association and the Conférence des recteurs des Hautes écoles suisses (Council of Chancellors of Swiss Bodies of Higher Education). 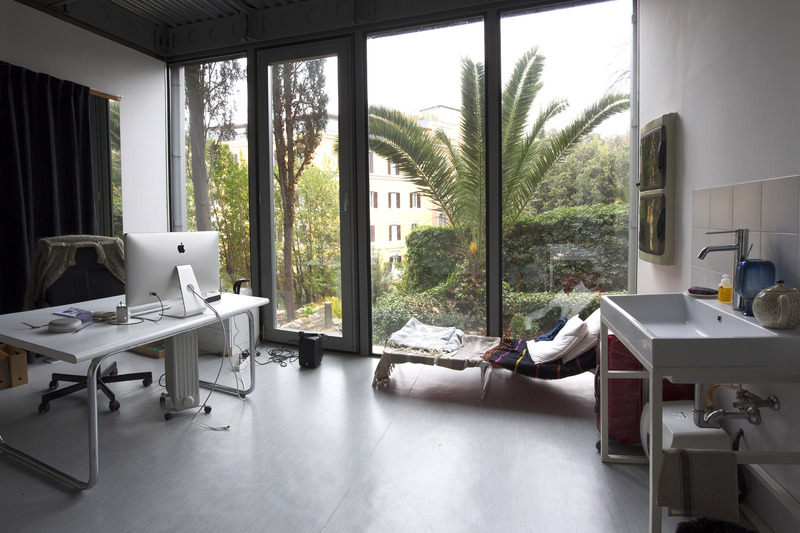 By invitation only, Istituto Svizzero offers residencies in Rome to established artists and researchers for projects connected with Italy or of a transdisciplinary nature.